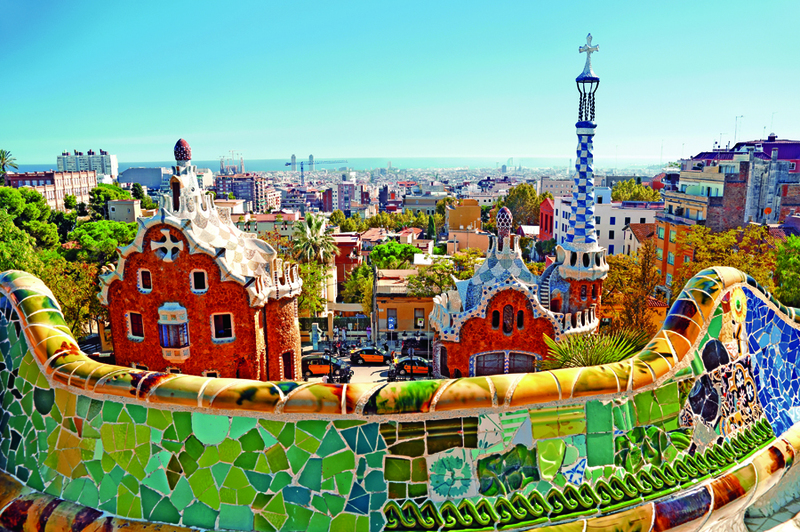 Join Sharon O’Connor for a luxurious Regent Seven Seas Cruise® from Monte Carlo to Barcelona! Voted “Best Luxury Cruise Line” and “Best Cruise Line Small Ship,” our Voyager Ship has all-suite accommodations and each one has its own spacious balcony. Enjoy the ship’s extravagant gourmet restaurants, including Prime 7, Sette Mari, and the modern French restaurant Chartreuse with locally sourced ingredients and exceptional wines. Every evening there is fabulous entertainment, and the Canyon Ranch® Spa offers exercise classes, an unrivalled approach to health and beauty, and customized spa services. There are at least 32 free shore excursions to choose from at our ports of call. We will experience the history and culture of each destination with knowledgeable local guides and be comfortably transported there and back. For a supplementary charge, there are also Regent Choice Shore Excursions that range from behind-the-scenes tours of world-renowned places to exceptional authentic cultural experiences. Our Menus and Music group will receive an Autographed Set of Sharon’s Menus and Music cookbooks with music, and we will also enjoy a private cocktail reception, several dinners together, and special shipboard credits. 7 nights and 8 days of luxury, exhilaration, and enchantment in dream destinations—we’re going to have a journey that we’ll happily remember forever! Tiny and packed with fun, Monte Carlo offers an amazing combination of history, beauty, entertainment, and leisure. The wealthiest spot in Monaco, this enchanting place is an international capital of luxury that’s known for its celebrity-sightings, casinos, and nightlife. However the old world still shines through in Monte Carlo’s art and architecture. Palaces, cathedrals, and museums dot this municipality in an old town that’s rich with history. Be sure to catch the once-daily changing of the guard and tour the public areas at the Palais du Prince, home to the royal family, whose most famous resident was actress Grace Kelly. Enjoy the exquisite Provençal countryside beyond this resort, where charming villages with narrow stepped streets, lovely churches, and stunning scenic views beckon. Visit a local winery or take a drive along the rugged coast and revel in the wonderful views of the landscape, the beaches, the islands, and the magnificent Massif des Maures. 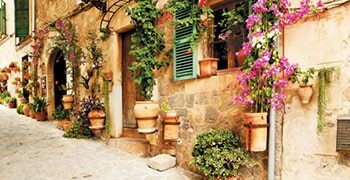 Browse in Saint-Torpez’s elegant boutiques for French perfume, fine jewelry, and high fashion clothing. Try some delicious local lobster with a chilled white wine or enjoy a lavender ice cream or a Tarte Tropézienne, a stunning dessert pastry named by the actress Brigitte Bardot. 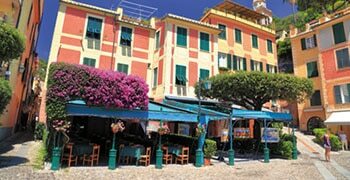 Situated in a narrow cove, the picturesque town of Portofino is among the most beautiful Mediterranean ports. It has long been known as an exclusive gathering place for artists, actors, and the wealthy, and it’s famous for people watching at waterfront restaurants, cafes, and many tourist hot-spots. Historic sites include the Chiesa di San Giorgio, built on the site of a sanctuary dedicated by Roman soldiers; and Castello Brown, with its lush garden and panoramic views of the town and the lovely harbor below. Enjoy the street performers at the Spanish Steps, relax over a fine glass of wine in the Trastevere neighborhood, or take in the historical and architectural glory that is Rome! 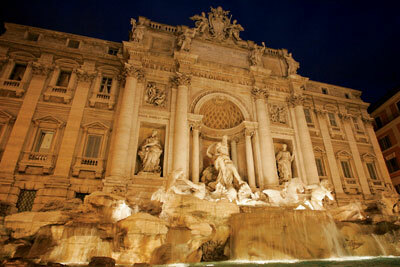 Visitors are spoiled for choice in this truly Eternal City. St. Peter’s Basilica with the Sistine Chapel is a full-day outing. Other astounding landmarks include the Trevi Fountain, the Coliseum, the Villa Borghese Gardens, and Aventine Hill, with its grand view of the remains of the Imperial Palaces and the Circus Maximus of Ben Hur movie fame. Wander through this lovely town and visit its 11th century cathedral with Roman and Phoenician-Punic artifacts. 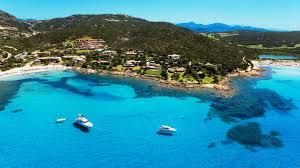 Or drive into the beautiful countryside of the Costa Smeralda with its towering cliffs, quiet grottoes, and exquisite sandy beaches beside emerald green waters. Explore the enigmatic remnants of the ancient Nuraghic culture. Buy hand-loomed bedspreads, carpets, baskets, and chests with designs inspired by the Nuraghic culture as well as embroidered silk shawls and traditional gold or silver filigree jewelry. Enjoy delicious local mussels, lobster cooked in wine, and seadas, delicious cheese filled crêpes covered in honey from this island. Mallorca is a gorgeous island with steep jagged cliffs and olive groves that are more than a thousand years old. It’s also a study in contrasts: In the south, there is a busy tourist area with hotels, bars, restaurants, shopping and dazzling night life. In the north are rocky valleys, sleepy villages shrouded in bougainvillea, and breathtaking views. The city of Palma is dominated by a breathtaking Gothic Cathedral, located high above the waterfront on the site of a former mosque. 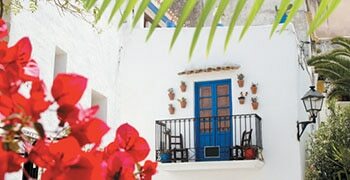 Ibiza is often called the "White Island" because it has such an abundance of whitewashed houses. 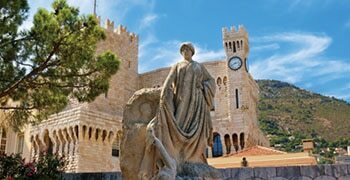 Part of the Balearic Islands, it is covered with limestone hills and topped by lush pine forests. Ibiza has become world-famous for its exciting designer shops, fine restaurants, beaches, and for its thriving nightlife. Still there are winding lanes that take visitors through cobbled streets to admire the stunning views across the bay for a little blissful calm amidst all the action. One of Europe’s most visually stunning cities, Barcelona balances the medieval intimacy of its Gothic Quarter with the grace and distinction of the wide boulevards in the Moderniste Eixample. Barcelona was the home of architect Antoni Gaudí, whose Sagrada Familia Cathedral, Park Güell and Casa Milà are the most profound statements of Modernisme. View the splendid works at the Picasso Museum and the Miro Foundation, or enjoy the fun of Barcelona at one of city’s exciting tapas bars or a flamenco show. 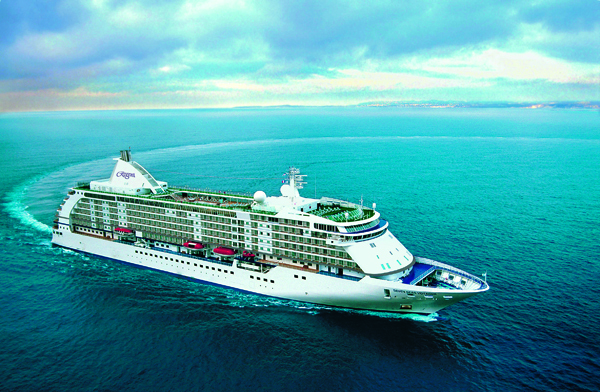 FARE INCLUDES: 2-for-1 All Inclusive Fares starting at $5,099 per person, Business Class Air is available for an additional $2,500 per person; Free Unlimited Shore Excursions, Free Unlimited Beverages including Fine Wines and Premium Spirits; Free Pre-Paid Gratuities; Free Specialty Restaurants; and Free Unlimited WiFi. Sharon O’Connor will host a cocktail party and arrange special dinners for our group. Includes an Autographed Collector’s Set of Sharon’s Menus and Music cookbooks with music and special shipboard credits.